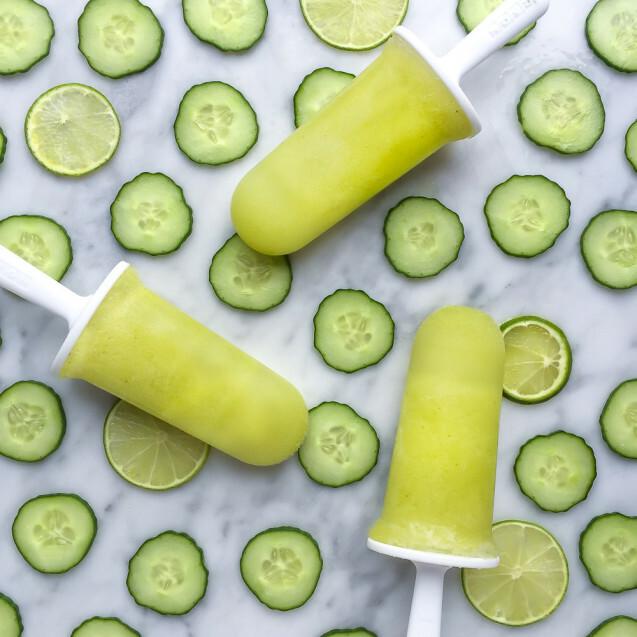 These vegan, paleo cucumber and lime popsicles are super creamy and refreshing — and perfect for hot summer days. 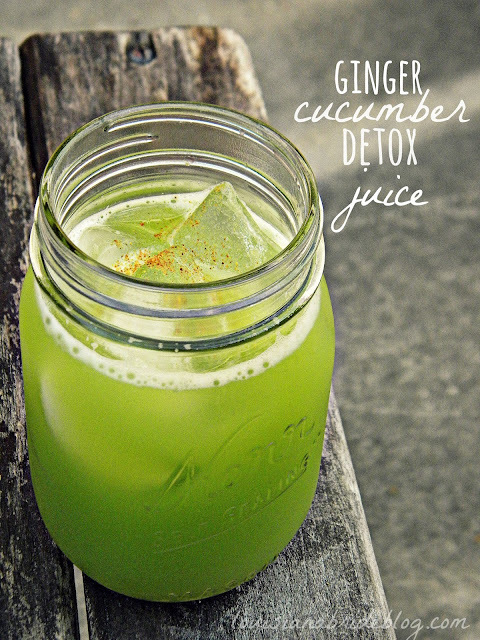 These are all about hydration, due to the mega-quenching cucumber, which helps to get rid of any bloat (so good for pool season!) and makes your skin absolutely glow, and lime adds an awesome zip. Blend all ingredients until well combined, then pour into popsicle mold, champagne flute or dixie cups, tapping it on the counter to eliminate any bubbles, and freeze overnight (if using champagne flute or dixie cups, add popsicle sticks after 1 hour and return to freezer). To remove, run under warm water for 30 seconds and slide out.